Privacy is a good thing, and something we all value. But can too much of it lead to seclusion and loneliness? This can be especially true for the elderly adult. Your mom has agreed to move to assisted living for her safety and care and the family’s peace of mind. But is she worried about being lonely there by herself now that dad has passed on? Most assisted living facilities offer private, shared or semi-private options for accommodations. What about considering semi-private? That would mean your mom would have a roommate sharing the same apartment and it might make the transition into the facility easier for her. Significant savings in cost – sharing an apartment means approximately 30-40% savings which can really add up over many months. This may free up funds for unexpected medical bills or other expenses related to care in the future. 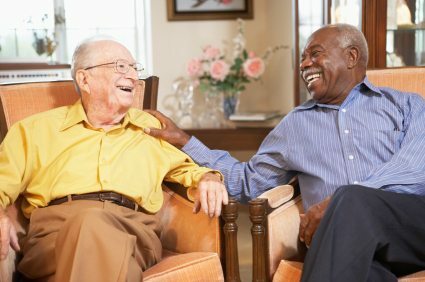 Helps to combat loneliness – when there is a roommate, there is always someone to talk to if she wants. Loneliness is one of the first steps to depression, and too much solitude is not healthy for the mind or the body. Eases the transition into the community. There are socializing opportunities available right there all the time for her without having to go out of the apartment to find someone to talk to or spend time with. Of course, privacy is still available to the extent the two roommates agree. Extra monitoring for your loved one. A roommate may notice before someone else that your mom is sleeping more, or seems more confused. There could be other observations as well. Sometimes there’s a change in pattern that the roommate will notice which could go undetected for a long time otherwise. Longer life expectancy – social relationships are a big factor in living long and happy lives. Not only happy, but healthier lives as well. Stimulation through conversation, laughter, companionship, etc. can mean a higher quality and quantity of life. 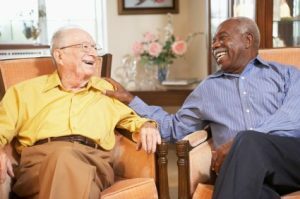 Unless your mom has a friend she knows who also wants to move into assisted living with her and be her roommate, the agency can match her up with a compatible person. They match on the basis of personality traits, sleeping habits, cleanliness, choices of entertainment, etc. Even if your mom can afford her own apartment and finances aren’t an issue, she may want to consider a roommate simply from the socialization perspective. When researching options for assisted living facilities in Kemah, TX call us at (832) 315-3219. Assisted Living counselors at Serenity Gardens are available to talk with you about your caregiving needs while providing better, affordable care for you or a loved one.